Most organizations we join in the course of our professional careers are a natural consequence or requirement of what we do. There are others that carry some degree of prestige or special recognition that we may choose to apply to with the hope of being selected. A few organizations – very few indeed – come looking for special people. These are called “Honorific” societies, because they seek and recognize individuals whose lifetime work merits special recognition. The RSC is the recognized pre-eminent body of independent scholars, researchers and creative people in Canada whose Fellows comprise a collegium that can provide intellectual leadership for the betterment of Canada and the world. 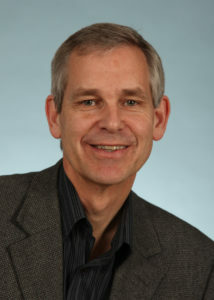 Stephen Archer is Professor and Head of Medicine at Queen’s University and a world renowned cardiologist and leader in several research fields, including oxygen sensing, vascular biology, and the experimental therapeutics of pulmonary hypertension and, more recently, cancer. He has made numerous discoveries that can undisputedly be considered firsts, particularly in regard to defining the roles of mitochondrial fission/fusion and metabolism in oxygen-sensing and cell proliferation. 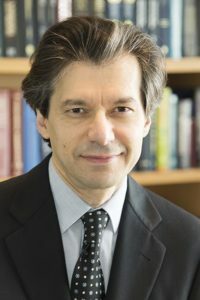 Bonni is the Edison Professor and head of the Department of Neuorsciences at Washington University School of Medicine and director of the university’s McDonnell Center for Cellular and Molecular Neurobiology. An international leader in molecular neuroscience, Bonni has made seminal contributions to our understanding of how the brain is built at the level of individual connections between nerve cells, and how deregulation of those mechanisms contributes to neurological diseases. His group has discovered fundamental signaling networks within nerve cells that program neural circuit assembly and function in the developing brain. Using brain development as a guide, the Bonni laboratory also has provided novel insights into neurological disorders including neurodevelopmental disorders of cognition such as intellectual disability and autism spectrum disorders, brain tumors and neurodegenerative diseases. Neither Archer nor Bonni acquired their research expertise while in medical school. However, I believe both would agree that their ability to formulate important and relevant research themes and the commitment required to pursue those issues in a scientifically rigourous fashion was rooted in their understanding and personal involvement in clinical medicine and likely fostered by exposure to people and situations they encountered as medical students. The role of research in undergraduate medical education has always been controversial. In an increasingly packed undergraduate curriculum, it is often sacrificed in favour of the many therapeutic applications and competency objectives medical schools are expected to provide. In fact, many current curricular frameworks have chosen to exclude it completely. At Queen’s, we made the deliberate decision to include it in our list of essential EPAs, our only departure and addition to the nationally accepted list. We include research involvement as a core component of our curriculum (the Critical Enquiry), provide opportunities for summer research involvement, and integrate aspects of translational research into our teaching in various courses. We do so not with the expectation that every student will become an independent researcher, but because we believe understanding research methodology makes us all better “consumers” of new information and that these early experiences may be formative and awaken a passion for research in those who had not previously imagined it either within their reach or as component of their career. Congratulations to Drs. Archer and Bonni, and thanks for affirming that solidly trained and committed clinicians can, indeed, achieve great things in the research world.